When my aunt Gail and I traveled through Tuscany we had many versions of traditional bean soup during the primo, or first, course. The creaminess and ease of preparation make this a staple of the pureed and then the soft diet, but it is so good that you will make it as a quick supper on many occasions. Serve with a tossed salad. Place the beans, stock, garlic, rosemary, thyme, and red pepper flakes into a blender. Puree until smooth. 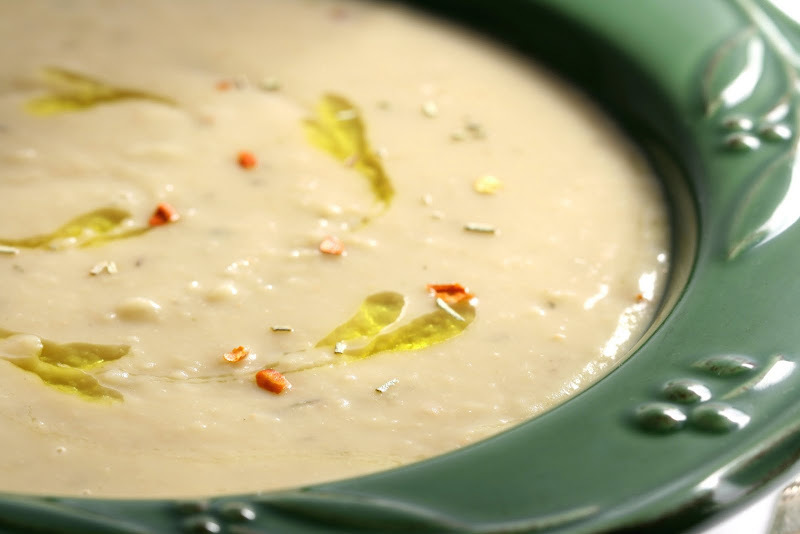 Pour into a medium saucepan, add the olive oil, bring to a boil, lower the heat, and simmer for 15 to 20 minutes. Season with salt and pepper. Ladle into bowls.